P.F. 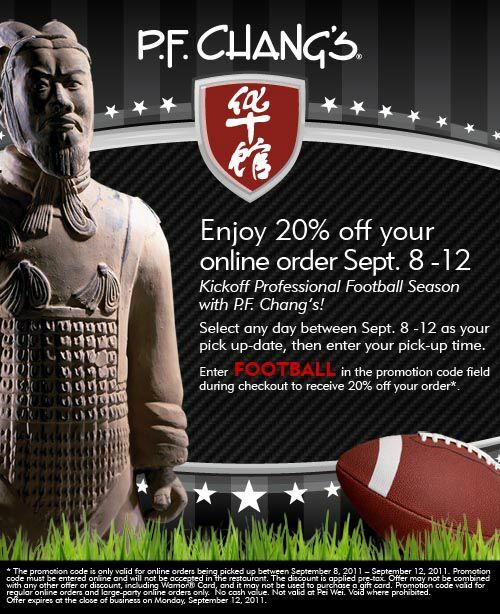 Chang’s is kicking off football season by offering its customers 20% off all online orders September 8th-12th. Simply use code FOOTBALL to get the discount. Hey – this is a great take out option for the upcoming weekend! Enjoy!